LHA has completed many projects and helped to establish others which are fully funded at this time. Whenever possible, programs are set up to avoid dependency and encourage sustainability. Click Completed or Self-Sufficient Projects for a summary. Some programs do depend on annual donations from our supporters.Funds raised each year determine the amount of assistance LHA is able to provide through these particular programs listed below. Every dollar is appreciated and 100% goes directly to those in need. (A dollar goes a long way in India!) To support any program, click Donate. More than one life is changed when a youth becomes educated and empowered, as employment and healthy modeling can help entire families and community systems. Many Tibetan women seek a degree in nursing, since jobs are available and nursing degrees are easily transferred abroad or back to Tibet. Many are qualified and accepted into programs, but lack funding for tuition and room/board. Our goal is to raise enough funds to fully support at least three Tibetans through nursing school annually. The cost of a three-year nursing degree in India is only $6,000 including tuition, books, room/board; that's just $2,000 a year per student! Our long term goal is to continue to support and grow this scholarship program, in order to have a lasting impact and provide opportunities for years to come. The interest from an endowment of $333,000 would fund three scholarships annually. This project was started in 2017 by a group of Tulane University School of Social Work students, in dedication to Neysa Fanwick, a TSSW alumni who passed away July 29, 2017. 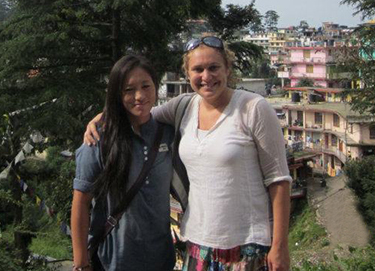 Neysa had come to India with the TSSW group in 2011, and was strongly moved by her Tibetan friends and their community. The 2017 TSSW group raised $18,000 and provided the first three scholarships! Dr John Clark of Loyola University is overseeing this project as we move forward. Many areas in which we work have unclean, poor quality water supply systems coupled with poor and often overflowing sewage systems, a recipe for disease. This infrastructure problem is too big for LHA to tackle so we looked at other routes and found a direct approach to provide clean water immediately. 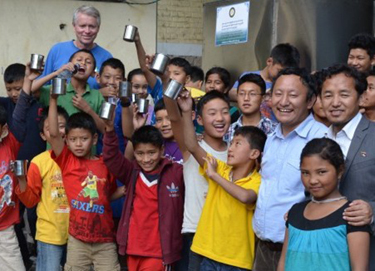 Since 2013, along with the help of Lha Charitable Trust, 25 water filtration systems have been installed in schools, monasteries and nunneries. The end result of LHA’s three year clean water initiative, organized by Johanna Gartner, is clean drinking water for more than 10,000 people. Lha Charitable Trust now develops and carries out hygiene education programs and continues to maintain those filtration systems that we've installed. Annual cost for maintenance and filter replacements of the 25 systems is $5,300. We are hoping to find an annual sponsor for this maintenance cost which now comes from LHA’s general budget. In a new environment with minimal resources, many Tibetan refugees endure unnecessary suffering and some die due to lack of funds and/or confusion about Western medical care. MAP helps refugees who can't afford medical care, striving also to provide preventative care, and community-focused health education. Simultaneously, LHA investigates the causes and seeks to eradicate the community's health-related issues. Each year groups of students from Tulane Med School, LSU Med School and Loyola’s Nursing Program come to volunteer under the guidance of LHA’s MD consultants. Part of their volunteer time is spent performing medical assessments and on average 80% of those screened need further medical, dental and/or eye care assistance. Through donations to the MAP program, fees are paid free of charge for most of those referred for further care. Those with major medical issues are referred for assistance through programs set up by the Tibetan administration. Many of those we serve come from remote areas of the Himalayas where dental services are not available and diets are much healthier. In India, their diets now often include processed sugar and other foods harmful to teeth. Lacking dental hygiene education and financial resources, they experience painful, serious dental problems. Approximately one third of those screened by our volunteer medical groups are in need of dental care. In 2011, Fran Phares, an LHA volunteer who taught English to a young Tibetan girl, Nima, noticed the pain behind Nima's smile. Nima had never visited a dentist and had no money, so Fran took her to a dentist, who removed the pain from behind the smile, and LHA has since committed to providing a broad range of quality dental services to those in desperate need. This program keeps growing as we continue to discover more Tibetan refugees in desperate need of dental care. 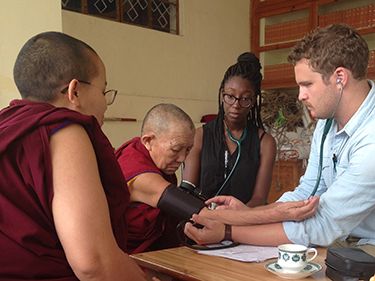 Approximately one third of over 1,000 Tibetan refugees assessed, from 2015-2017, by our LSU and Tulane Medical School teams needed dental care. Thanks to the continued support from Fran, this program’s founder, and other generous donors, we are able to provide all these needed services free of charge, using local, qualified dentists. We need your help to continue to do so. In LHA's classrooms, it is not uncommon to find a student struggling due to visual difficulty. Many Tibetans need glasses. The cost of an eye exam, including transportation and a new pair of glasses, is roughly $20. This program was started in 2009 by LHA volunteer an Loyola University student Aubrey Lynn, with the help of volunteer Elana Rauda, from Calgary, Canada. 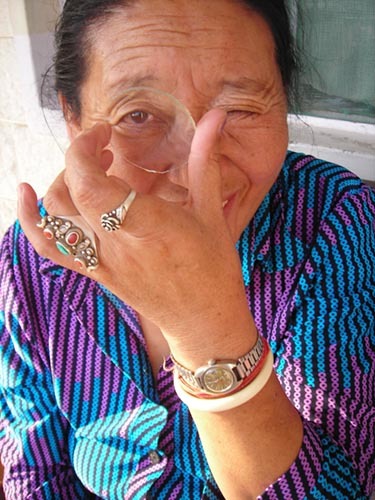 Our annual goal is to get 100 pairs of glasses for Tibetans per year, and to fund eye surgeries and/or medications for those in crisis situations. An unfortunate fact of refugee life is that families become separated, often without any means of communication. The Tibetan Administration oversees Jampaling Elders’ home where over 200 Tibetan Elders live and are supported. Many more live out in the community on their own. LHA strives to assist both those living independently and to donate material goods to those living in Jampaling Elders’ Home. LHA is in the process of establishing, with our Tibetan partners, this project which will both generate sustainable income for the organization and serve as a small business learning platform and a teaching tool. Tripti Singh, an LHA volunteer from Mumbai with coffee shop management experience, initiated this project by securing a grant of $18,000 from the Macquarie Company, to begin construction which is now underway! Members of the 2018 Tulane School of Social Work Group are also fund raising to help make this project a reality. Pastry chef, barista and business management volunteers from around the globe will teach valuable job skills to members of the Tibetan community. It will also serve as a fair-trade outlet to sell Tibetan arts and crafts along with being a local & international gathering spot to further promote awareness of LHA's projects and the Tibetan situation. It will be part of the LHA Ahimsa house complex which is only steps away from the Dalai Lama’s main temple offering a constant flow of potential customers! (Approximate project budget breakdown: building materials/construction costs $23K; commercial oven $4K; commercial coffee machine $3K; kitchen equipment $2K; furniture $1K). Visit the GoFundMe page for more information or to help fund this project. Many Tibetan monasteries, nunneries and schools – where the monks and nuns and students live – have no hot water. 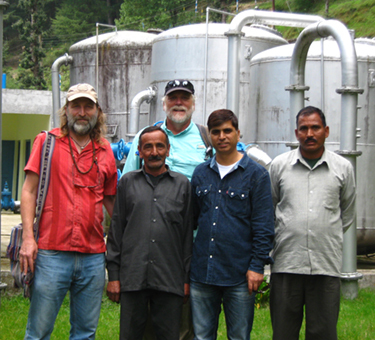 Solar energy expert Noah Siegel is beginning a solar energy initiative to provide solar energy and hot water to some of the schools, monasteries and nunneries where LHA has supplied water filtration systems. Step one will be to set up solar energy panels on the LHA Ahimsa house building. Recently, LHA installed a solar water heating system that is working beautifully there. The solar panel will reduce energy costs for Lha Charitable Trust, freeing this money to focus on other projects. It will also serve as a model for the rest of the community. Our hopes are to accomplish the installment of one system per year. Visit the GoFundMe page for more information or to help fund this project. See Completed or Self-Sufficient Projects for a summary of finished projects and financially self-sufficient and sustainable ongoing programs. 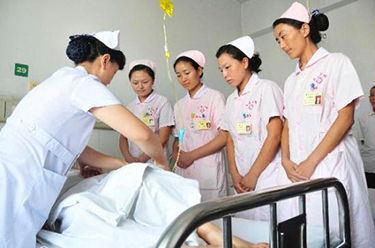 Fund supports young Tibetan women pursuing nursing degrees. The communities we support need clean drinking water. management specialist and LHA consultant. students and LHA volunteer James Petersen. students and other healthcare providers volunteer each summer. 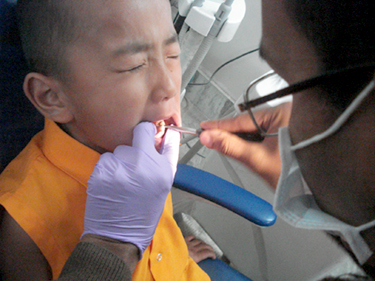 LHA's dental care program serves Tibetans of all ages. is to provide 100 pairs of glasses to needy Tibetans. 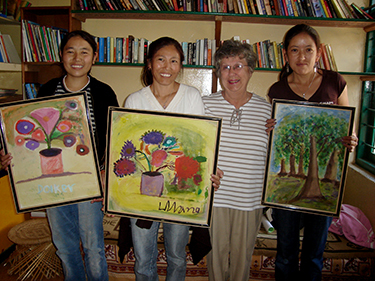 founded the Tibetan Elder Assistance Program in 2004.
different projects. Here, artist Louise Guidry, taught painting.